You want to make sure that you are set up for the future financially. While having a 401k is an excellent investment in your financial future, you may be wondering if it’s enough. Many investors are wondering if it would be a wise idea to take the money invested in their 401(k), or IRA, to purchase gold – a precious metal that has proven to be a wise investment for centuries. A common question that investors have is this: Can I buy gold with a 401k? Q. Can I buy gold with my 401(k) or Individual Retirement Account (IRA)? A. Yes, you can! You can purchase gold coins and bullion, as well as other precious metals via a self-directed IRA that is established with a trust company. This is allowed because self-directed plans allow you to make your own investment decisions and provides you with many options to grow your wealth. A 401(k) cannot hold physical gold by itself, but any 401(k) can be rolled into an IRA without any tax consequences. Gramercy Gold can help you set up an IRA if you wish. Q: Can you transfer an existing IRA into physical gold? A: You sure can! In fact, most precious metal retirement plans start with a transfer into a gold IRA. Current laws and regulations allow for both transfers from IRAs, in addition to rollovers from qualified retirement plans – like a 401(k). You can also do a rollover from a 401(a), a 403(b) and a 457 plan, or other retirement plans such as a simple IRA. All you need is a trust company capable of handling physical gold and other precious metals. Luckily for you, Gramercy Gold specializes in just that. Q: Is there a difference between my current plan and a self-directed 401(k)? A: The rules that apply to conventional retirement plans, like a 401(k), apply to self-directed plans; particularly in regard to tax treatment. Typically, conventional 401(k) plans will not allow for diversification into physical gold. This is because of the special circumstances that are associated with the diversification into physical gold, which include the cost of storage, insurance, and custodial responsibilities. Usually, you would purchase the precious metal in its physical form – coins or bullion – and establish a new account with a trustee. You would then transfer funds from your current trustee to a new one. Most 401(k) plans allow tax free rollouts of the dollar amount in the plan. Q: What role does the trustee pay in a retirement plan? A: Self-directed trustees provide administrative and reporting services in regard to a retirement plan. They also work with different vendors that provide specific, permitted investments in precious metals through the code that is set forth by the IRS. Do note that self-directed trustees do not offer any investment advice. 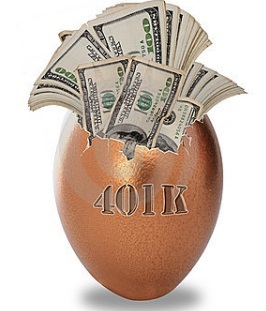 Q: Is it a wise idea to roll your 401(k) over into gold? A: Yes! In our opinion gold is the best long term investment in the world. Gold has always been, and will always be, considered a valuable asset. It not only retains its value, but its value grows. It has also been widely recognized as a medium of exchange in lieu of currency. By rolling over into gold, you could set yourself up with serious financial security for the future. Q: How to choose the right vendor to assist you with rolling your gold over into your 401(k)? A: If you want to have true success when rolling your gold over into your 401(k), you need to choose the right vendor to help you do so. By choosing the right firm, you will be able to properly protect your assets from any economic uncertainties. If you choose the wrong firm, your funds may end up being diverted to various gold-related investments, or perhaps derivative investments that really aren’t regarded as gold-related investments. In order to choose the right vendor to help you roll your gold over into your 401(k), you need to do extensive research. Look for vendors that have ample experience and a track record of success. Ask to see their portfolios and inquire about their experience and their process. Before making your final choice, assess the research that you have conducted and choose the vendor that best meets your needs.